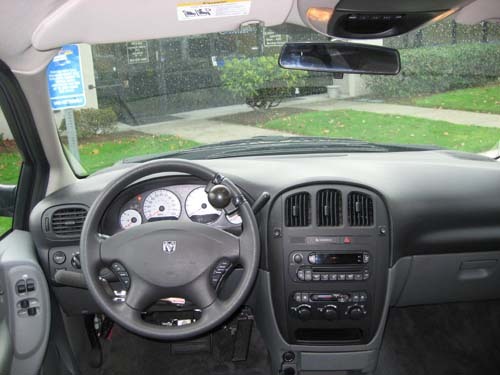 06 Dodge G.C. SE w/ VMI Conv. 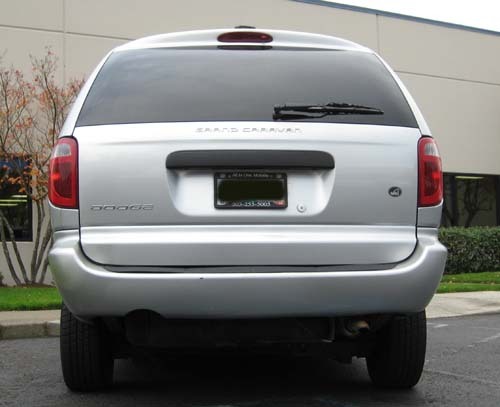 2006 Dodge Grand Caravan SE with VMI Northstar Conversion. 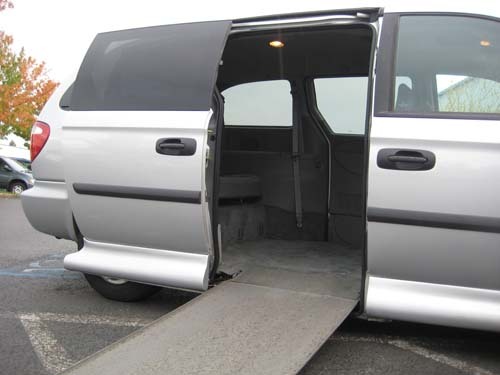 Bright Silver with Slate gray cloth interior, Miles: 58,996, 3.3 V6, 4-speed auto trans., PW, PDL, PM, CC, tilt wheel, dual airbags, ABS, AM/FM CD, keyless entry, privacy glass, front and rear heat/AC, power rear vent windows, roof rack, OEM power sliding side doors. 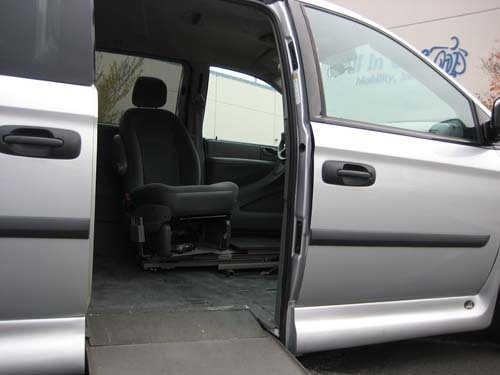 VMI Northstar Conversion: 10" Drop Floor, Power Door, Power In-Floor Ramp, Power Kneel, One Touch Remote Entry, Magnetic Entry, Removable Driver and Passenger Front Seats, Tumble Forward Rear Bench, B&D transfer seatbase, MPS hand controls. Recent Service: Replaced transmission fluid and filter, oil and filter, air filter, flushed power steering fluid, replaced rear brakes.